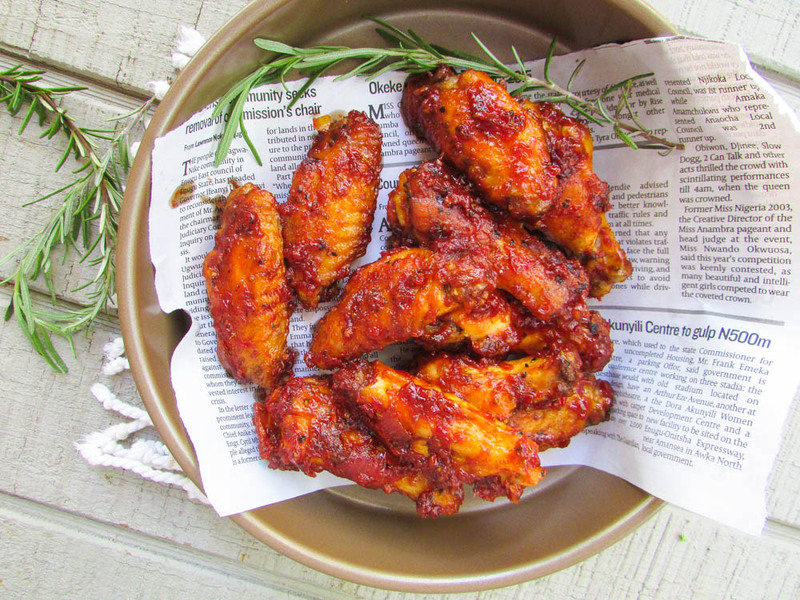 I have a perpetual love for chicken wings and I have made it in all kind of ways this Summer. As the Summer comes to an end, I want to share a recipe that would give my readers something to remember as we go into the cold season. For my readers who cannot get the softer/Agric chicken wings, you could use the regular wings from the hen or local fowl and just season and boil it first; then pan fry. It will taste the same. I used coconut oil as an oil replacement for this recipe to get the whole coconut thing going. Enjoy…. wash and pat the chicken dry or drain in a sieve. This entry was posted in Appetizers, Barbecue Chicken Recipes, chicken, chicken dishes, Chicken Recipes, Uncategorized and tagged chicken wing recipe, coconut jollof chicken wing recipe, jollof chicken recipe. jollof chicken wing recipe, jollof wing recipe, pan fried coconut jollof chicken recipe. It means the base is made up of those ingredients after blending and boiling the water out.